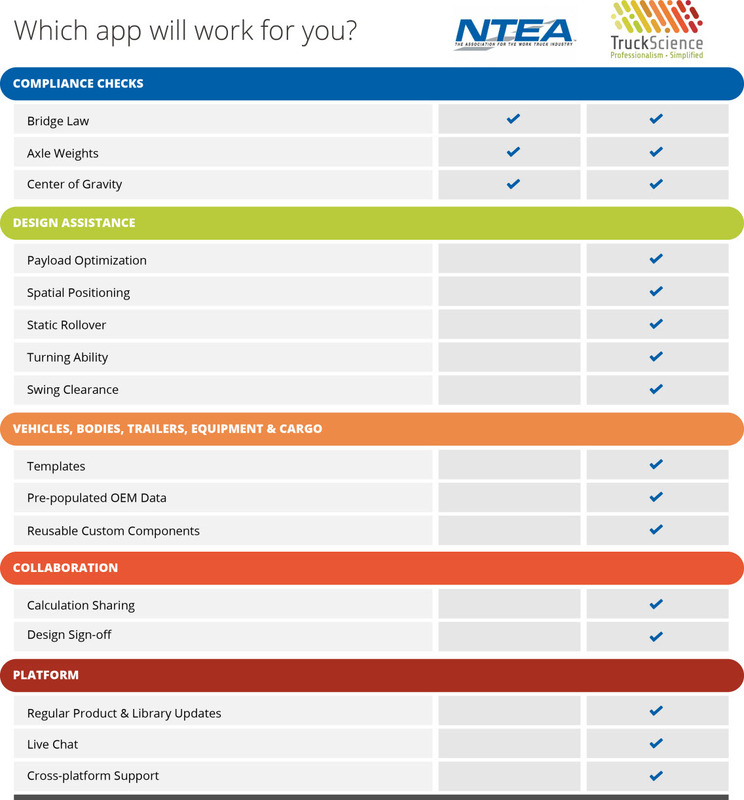 TruckScience now offers its cloud-based calculator to NTEA members at a discounted rate. The TruckScience tool comes with a library of pre-populated specifications/drawings and features such as compliance indicators and drag-and-drop design. 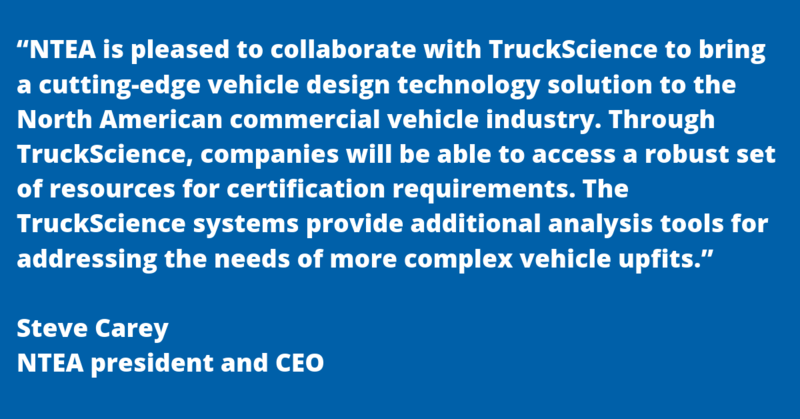 Since 1985, TruckScience has been developing solutions for the commercial vehicle industry; its software is used by body builders, upfitters, truck dealers and fleet companies in 30 countries. Access at truckscience/ntea. View full press release for more information. Also available, NTEA’s Vehicle Center of Gravity & Axle Weight Calculator is a web-based, interactive tool providing vehicle specification and weight information. Interactive instructions make it user-friendly for those in your company responsible for weight distribution and center of gravity calculations. It’s a free NTEA member benefit — not available for public purchase. Learn more at ntea.com/weightcalculator. Not sure what calculator will work for you?